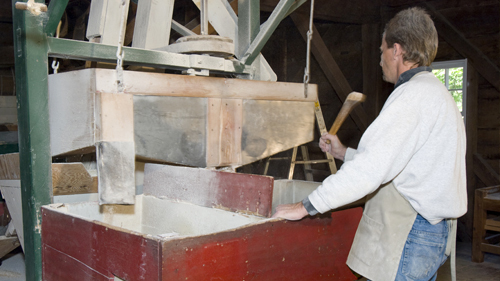 To demonstrate the operation of a once waterpowered grist mill in the grinding of grains. To provide understanding of how a local grist mill operated within a rural agricultural economy, and contributed to the wider provincial economy at the end of the 19th century. To present the story of Alexander McKay, who opened the mill in 1874, as well as the stories of the people who worked at the mill and those who used it.